Micromax’s Canvas Spark 2 Q334 has been officially launched. The new Canvas Spark 2 Q334 comes with entry level specifications. It is downgraded version of Micromax Canvas Spark 2 Q380. It will compete with ZTE Blade Qlux 4G, Xiaomi Redmi 1s, Yu Yunique, Coolpad Dazen 1, Yu Yuphoria, Micromax Canvas Xpress 2 E313, Swipe Elite 2, Infocus M2 4G, Lenoco A1000 and Phicomm Energy 653 4G. Micromax Canvas Spark 2 Q334 featuring 5.0inch 480 x 854 pixels IPS LCD screen is priced under INR 4K. It is attained with 4 gigs of onboard storage and runs on Android v5.1 Lollipop. It is a DUAL SIM smartphone with 3G connectivity. It has 1800-mAh battery offering 6.5 hr talktime. The Canvas Spark 2 Q334 is effectuated with 5MP primary cam which can rec Full HD 1080p videos and 2 MP secondary selfie camera. It is powered by 1.3GHz Quad-core processor coupled with 0.768GB of RAM and Mali T720 GPU. 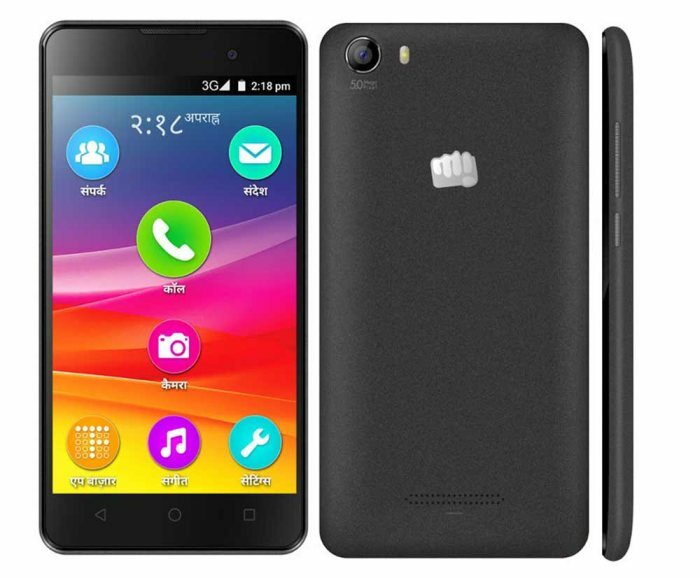 The Micromax Canvas Spark 2 Q334 will be available for purchase from online stores at price of RS 3999. It will be available in Black color.